"Making a difference in the lives of our veterans and veteran family members since 2007." The purpose of Vets Helping Vets HQ is to assist United States veterans, their dependents, or family members who are seeking benefits from the Veterans Administration and to provide financial, material, educational and/or physical living assistance at no charge to the veteran or the veteran’s family members. Eligible veterans are those who have been discharged other than dishonorably. The Veterans Administration can help veterans in a time of urgent need. Trained Counselors are standing by to assist veterans in a time of crisis. Our trained advocates are here to assist veterans in determining what kind of claim is available to them and to help in gathering the necessary evidence to support their claim(s) to be submitted to the Veterans Administration through an accredited Veterans Service Officer (VSO) to obtain a disability rating to obtain compensation for their service or non-service connected disability. Our advocates also assist with other types of claims and benefits available to veterans, their dependents, or family members. Our advocates educate veterans on how the VA claims or appeals system works so they know in advance what to expect and approximately how long it will take. We meet the needs of veterans and family members who seeking assistance by doing everything we can to provide the assistance that is requested. From emergency financial assistance for water, electric and gas bills, mobility equipment for the disabled, to the installation of wheelchair ramps at the veterans home. Our experience and knowledge of the resources that are available in the community, our county, and our state help the veteran obtain the assistance that they seeking. 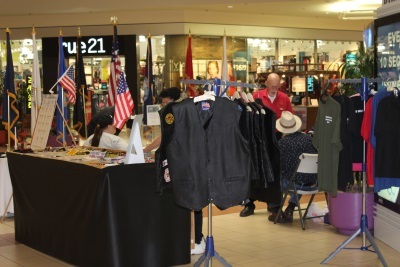 We have hats, t-shirts, sweat-shirts, assorted various service patches, leather vests, and many other miscellaneous items. The VHVHQ store is brought out to various functions that we hold and other community events. Support Vets Helping Vets HQ by purchasing items from our store. Look for the store to go online in the near future. The Wall of Honor represents our Fallen Heroes from 2001 through 2016. As of February 2017 it now includes the service men and women killed in action of Desert Storm and Desert Shield. The "new" Wall of Honor did not change much in size. Each panel is 38" x 82". There are now 32 panels with 104 names on each side of the panels. There are 2 panels dedicated to major sponsors and panels that explain when and how each of the wars began. 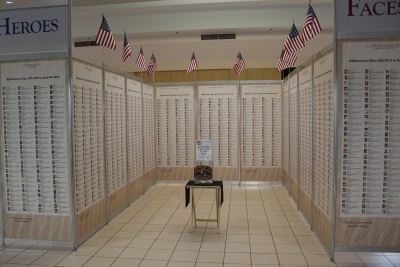 To arrange to have the Wall of Honor brought to your location contact Vets Helping Vets HQ at 541-791-4357. For more information visit the "Wall of Honor" page on this site. VHVHQ is an organization of volunteers. You do not need to be a Veteran to volunteer to help out. Help the veterans by volunteering some of your free time for office needs or events that we hold. We truly appreciate all of our volunteers. That is what keeps the whole thing going. Click the volunteers button on the right to visit the Volunteers page which will have a volunteer form, a list of volunteers needed, and an Events Calendar, and contact information. Vets Helping Vets HQ is supported entirely by corporate, business and public, and private donations. Vets Helping Vets HQ is an organization staffed by volunteers so our administrative costs are low. The largest percentage of the money we raise goes to assisting veterans. You can make it possible for us to keep helping veterans who have needs. You can help a veteran in need by making a donation to Vets Helping Vets HQ. Visit our donation page by clicking the button to the right to find out which way is best for you to donate to Vets Helping Vets HQ.